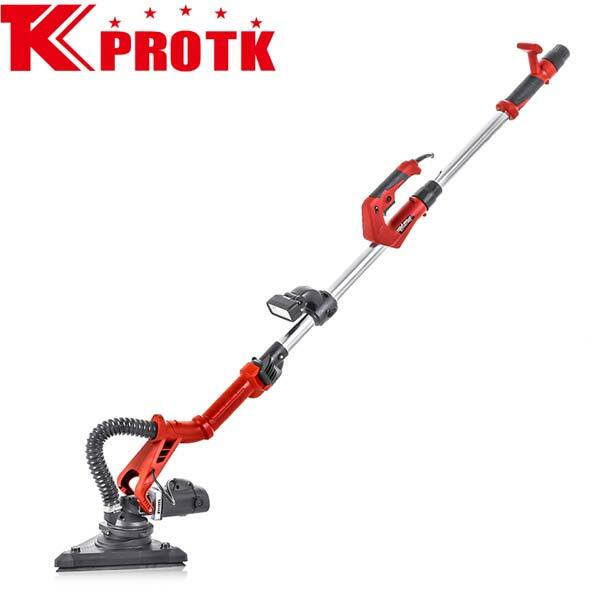 We are top manufacturer, supplier and exporter of Drywall Sander (TK-2315) from Yongkang, China. This 710 watt drywall sander has marvelous speed of 2000 rpm. Its short- length (that is length without extension tube) is 120cm and long- length is of 170cms. Our drywall sander (TK-2315) diameter of grinding is 225mm. We provide carton box packing with all its accessories inside like sanding paper (6pcs), internal hexagonal wrench (1pc), Carbon brush (2pcs), 4 meter soft tube (1pc), Adapter (1pc) and Screwdriver (1pc).